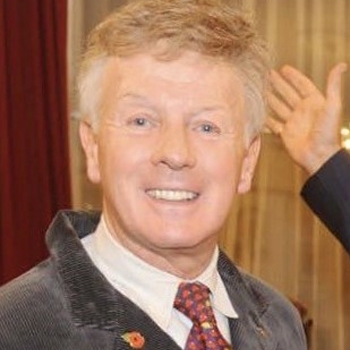 Vincent Hayes is the founder of Brick Lane Music Hall and the regular host of their full programme of shows from traditional music hall bills to more modern productions and pantomime. Born in Galway, Vincent grew up in London and recognised from a young age that his dream was to create laughter. He started his stage career touring with the Royal Shakespeare Company, moving on to performing in variety and pantomime. He was invited to work as a television "warm-up" artist, on such shows as Top of the Pops. At this time he also appeared in music hall bills at such venues as the Players Theatre and the Pinder of Wakefield. In the 1980's Vincent opened The Lord Hood pub in Bethnal Green, where he presented music hall shows in the traditional setting of the back room with a stage made of beer crates. He founded Brick Lane Music Hall in 1992 in London's famous Brick Lane. Brick Lane Music Hall moved to its current home in Silvertown in 2002, where it has become a beacon for Music Hall enthusiasts from all over the world, although his focus remains on entertainment in the anarchic spirit of British Music Hall. Vincent was recognised in 2013 with the award of an MBE for his services to British Music Hall, as well as for his contribution to the community with the work of the Brick Lane Music Hall Charity which takes Outreach Music Hall shows to care homes and hospices around the South East.